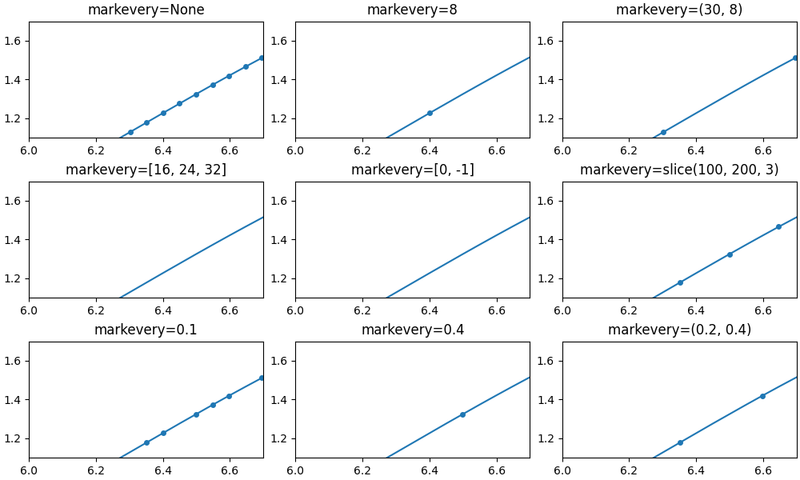 This example demonstrates the various options for showing a marker at a subset of data points using the markevery property of a Line2D object. Integer arguments are fairly intuitive. e.g. 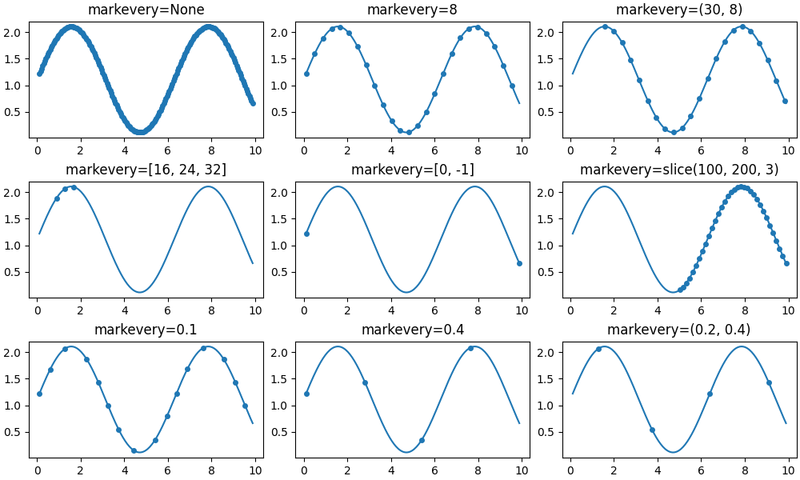 markevery=5 will plot every 5th marker starting from the first data point. Float arguments allow markers to be spaced at approximately equal distances along the line. 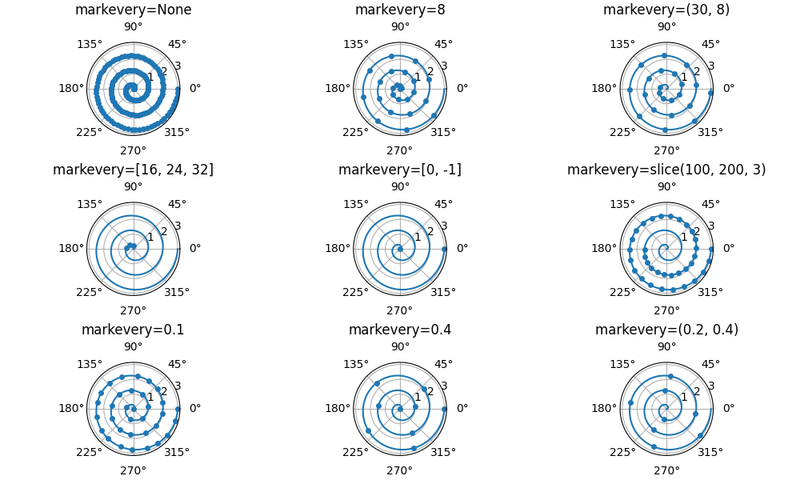 The theoretical distance along the line between markers is determined by multiplying the display-coordinate distance of the axes bounding-box diagonal by the value of markevery. The data points closest to the theoretical distances will be shown. A slice or list/array can also be used with markevery to specify the markers to show. 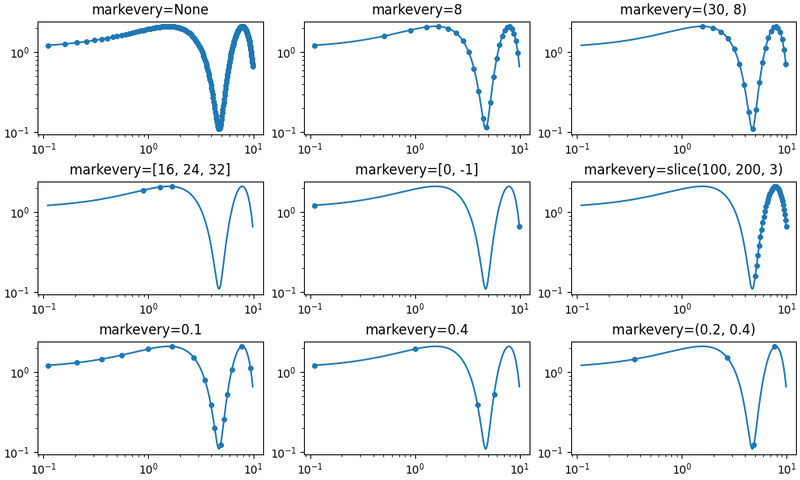 """little helper to massage the axs list to have correct length..."""
Plot each markevery case for linear x and y scales but zoomed in note the behaviour when zoomed in. When a start marker offset is specified it is always interpreted with respect to the first data point which might be different to the first visible data point. Last updated on Apr 20, 2019. Created using Sphinx 1.8.5. Doc version v3.0.2-2270-g095caa1d8.